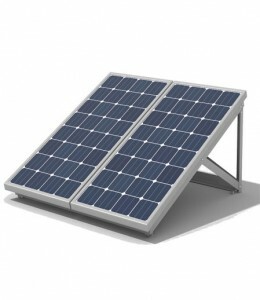 Nantech Power Systems, experts in off-grid solar electricity solution offer Off-grid solar systems. The well known UPS manufacturer sells Off Grid Solar panels for the homes with no access to grid electricity. Rooftop solar panels harness sun’s energy and save it in the battery to light your homes. The batteries allow you to store electricity for use at night or low production days such as cloudy days. More the sunlight harnessed by your solar PV panels, more electricity is produced. When the solar cells are not producing power at night, your power is supplied by the mains power grid as usual. A solar charge controller, DC disconnect, battery bank, off grid inverter and backup generator are required for a typical off-grid solar system. The off-grid system gives complete autonomy and freedom from national grid and dependence on power companies. Getting the whole concept right is crucial to access solar energy. Nantech takes extra precautions to deliver the right design along with Fast & Professional Installation, prompt delivery, safe transportation and extended warranty to make your solar system functional around the year. We size your off-grid system by winter production when least electricity is produced. We conduct energy audit considering factors like lifestyle, house design, electrical appliances, Backup Time etc. to provide the best design for your home.